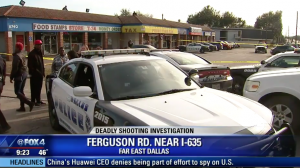 James Babers Killed, 2 injured in Northeast Dallas Shopping Center Shooting; Justice Available? Did negligent security contribute to this tragic loss of life and are justice and compensation available to Mr. Babers’ family? Gunfire erupted outside a Northeast Dallas convenience store on February 20, 2019. Fox4News.com is reporting the “shooting happened in the 11700 block of Ferguson Rd., just before 2:40 p.m.” The news outlet reports “a man walked up to three people standing in front of the convenience store and started shooting.” According to Fox4News.com, “[o]ne victim was pronounced dead while being taken to a hospital…the second victim is in critical condition at an area hospital, while the third victim is in stable condition.” Wfaa.com is reporting “37-year-old James Babers” as the victim that passed. What security measures, such as monitored surveillance cameras and visible security patrols, were in place to deter crime and protect Mr. Babers at the time of the shooting? Generally, property owners are required to protect all those legally on the premises from any foreseeable harm. Should the facts of this matter reveal that the property owner failed to provide adequate security to protect those on its premises, James Babers’ family may seek justice and elect to pursue legal claims for their loss. Based upon its prior successful experience in handling security negligence claims on behalf of victims and their families, The Murray Law Firm suggests that photographs and a thorough, unbiased inspection of the property will need to be performed immediately, before any evidence may be repaired, damaged or destroyed. Given the complexities of pursuing a negligent security case, it is imperative that Mr. Babers’ family retain an experienced attorney who can ensure the preservation of any and all evidence that may support such a claim. Man Injured in Richmond 7-Eleven Shooting; Security Failure? Could this senseless Richmond convenience store shooting have been prevented? 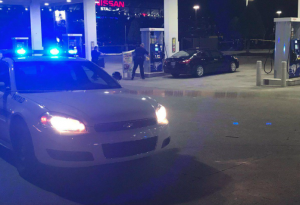 Police are allegedly searching for two suspects after a man was shot and critically injured outside a Richmond 7-Eleven April 19, 2018. According to WTVR 6, “a man was shot in the face in the parking lot of a 7-Eleven convenience store…in the 4700 block of Walmsley Boulevard,” shortly before 8 p.m. Police are apparently still searching for two male suspects, per ABC 8 reports. Did negligent security contribute to this Richmond shooting? We represent individuals and families who have suffered a tragic loss or injury as a consequence of negligent property security. Read Our Legal Take below to find out if the victim may have a legal avenue for justice and claims for substantial compensation in Virginia, or call now for a free consultation with our legal team: 888.842.1616. Convenience store patrons have a right to feel safe and secure while on the premises. The Murray Law Firm questions the level of security provided on the property and whether this shooting may have been prevented. 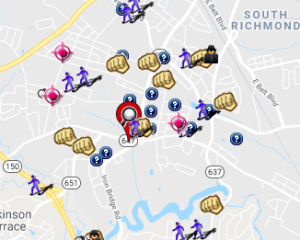 Recent crime reports from Spotcrime.com reveal a number of shootings and assaults in the surrounding area. Was the convenience store owner aware of local criminal activity? If so, what additional security measures, such as clear windows, bright lighting, surveillance cameras, and security patrols, were implemented to protect patrons and deter future crime? Generally, property owners are required to protect all those legally on the premises from any foreseeable harm. Should the facts of this matter reveal that the convenience store owner or management failed to provide adequate security to protect those on its premises, the victim may seek justice and elect to pursue legal claims for his injuries.